Most fans already know the history of Nine Inch Nails' first album: Trent Reznor completed it after sending demos (recorded during downtime at his employer Bart Koster's Right Track studios in Cleveland) to TVT Records, which signed NIN for a deal that later went sour over creative disputes. After Interscope signed a new contract with NIN, the album went out of print, and then Rykodisc acquired the rights to re-release Pretty Hate Machine in 2005. Their reissue was rather basic, with no alterations to the album's original master on either CD or vinyl. The most apparent change was merely an update to reflect NIN's current representation in the liner notes. Several years later, with NIN no longer signed to any major label, Bicycle Music, an imprint of worldwide conglomerate Universal Music Group, acquired the rights to Pretty Hate Machine and went a step further than Rykodisc. They commissioned Reznor himself to re-master the album and oversee new artwork for its packaging with art director Rob Sheridan. Since the primary attraction of their re-release is the promise of updated sound, I wanted to write a review that focused primarily on this (although the new packaging is admittedly pretty slick). It has taken me a few months, but as you can see, I finally got around to writing a thorough critique of the new mastering. What exactly is mastering, anyway? Put simply, it is the preparation of a musical artist's sound mixes for duplication. Ergo, "re-mastering", essentially, repeats that same process again — either on different equipment, or with different settings. Of course, since digital audio has revolutionized music production and consumption, it has come to mean a lot more than that. I could probably fill pages and pages with a diatribe on what impact digital mastering has had on music... but this review is going to be more than long enough as it is, discussing only what relates to this specific release. Bear with me if technical stuff bores you, as I have tried to make this review as comprehensive as possible. NIN has only officially re-mastered an album once before, for The Downward Spiral's tenth anniversary in 2004. The primary benefit of that re-release was the addition of a 5.1 surround sound mix created by Reznor and James Brown (the engineer, not the Godfather of Soul!) as well as other bonus content. 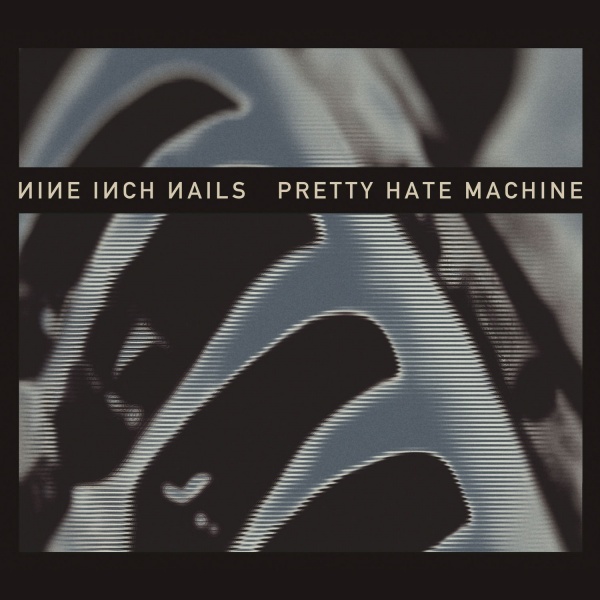 This newer re-issue of Pretty Hate Machine does not feature any such bells and whistles, except for one bonus track: "Get Down Make Love", recorded by NIN in 1990 as the B-side to the "Sin" single, and originally written by Freddie Mercury who recorded it with Queen in 1977. To allow enough space for this bonus track on the vinyl pressing, the 2010 edition of Pretty Hate Machine spreads itself over three sides of vinyl instead of the original two. So, how does it sound? Most fans' and critics' reviews have been largely positive. Pitchfork Media even gave it a 9.5/10 score and pronounced it "Best New Reissue", accolades NIN had never received before from the influential critic site (another of their critics had, in an earlier review of the Rykodisc re-release, labeled the album "horribly dated"). Comments from Reznor himself indicate that he was pleased with how the re-master turned out, describing it as "a greatly improved sonic experience". Nevertheless, a few self-described audiophiles have dissented with this acclaim, and criticized the re-mastered CD for being overly peak-limited (a technique used in recording to make the loudest parts peak at lower amplitude). CD mastering sometimes uses peak-limiting to boost the average amplitude over the entire waveform with the goal of making everything seem louder. Unfortunately, in some cases this results in the loss of dynamic range — contrast between volume levels. On the face of it, this is hardly a fair criticism for a NIN record! Nine Inch Nails recordings have used aggressive dynamic range limiting on every release since Broken. It is as much a part of the NIN sound as distorted guitars or electronic drum samples. With limiting in use, whenever the digital audio signal hits a certain volume, it is effectively "cut off", as though hitting a brick wall of loudness — sort of the inverse corollary to how many NIN recordings suddenly and abruptly plunge into near-silence. For certain kinds of music, this so-called "brickwall" limiting is unsuitable (the usual examples being classical music or all-acoustic jazz recordings, which rely on many subtle shifts in dynamics). For the aggressive rock sound that NIN has traded in since 1992, however, it is the accepted norm because of the dreaded "loudness wars" to make music generally more and more aggressive. Whether you like that sound or not, nevertheless, it is what Reznor considered appropriate for this re-master and we should respect his wishes. Now, with that said, I personally found that they could have used slightly less limiting and produced a more pleasing result. I am not in the camp of audiophiles that denounces all dynamic range compression, and I will defend it as a creative choice (being a sound designer and engineer, I do use it myself from time to time). This time around, however, I found that it was used to excess. During the loudest moments, I can hear a noticeable "pumping" of the sound as it compresses different frequencies in order to make everything louder. Backing the limiting down a bit and decreasing the overall gain by a decibel or so would probably have done much to alleviate this problem. Some fans who bought the re-mastered vinyl edition reported that the harsh limiting was not as much of a problem for them, although by closely examining a digital conversion of a 2010 vinyl pressing, I found evidence that it was still present, to a less noticeable degree. Vinyl cannot reproduce hard digital limiting in the same way as digital audio formats, owing to the different way that it reproduces audio in general — but you cannot get any range back just by pressing an already-limited signal to vinyl, even though it may appear less limited in practice. What benefits does the remaster offer? I dug up my copy of the old CD (a Canadian pressing of the original TVT master, bearing the Nothing/Interscope Records logo but distributed by Universal Music Canada) and imported its audio into a frequency analyzer. This is a visual representation of the frequencies present: it is sort of a cross between a graph showing loudness across the audible spectrum and a painting of what the sound "looks" like. Looking at it, I could immediately tell that my old CD had a frequency response that faded to silence around 20.8 kHz, which is just slightly above the range of most human hearing. This means that the old CD does not reproduce any very-high frequencies (for example the top end of cymbal crashes or "s" sounds in the vocals) above that roll-off point. As you can see, the new master is brighter and more vivd-looking, largely because it is louder... but there is also a little extra detail visible in the highest frequencies, and even some stuff at the very top above a certain point where the old version cuts off suddenly. Engineers refer to this sharp decline in frequencies as a "brickwall filter" (which is different from what audiophiles refer to when they say that dynamics are "brickwalled"). It is a characteristic of old-school analogue-to-digital conversions, which were unable to accurately reproduce information in those frequencies with any reliability. By contrast, the 2010 remaster does not suffer from this issue. In fact, I would go so far as to say the overall frequency response of the new master is smoother and more pleasing, even if the dynamics are a little harsh. At first glance, they do not appear all that different. The key lines are "Average RMS Power" and "Total RMS Power", which are in each case about 8 dB higher for the new CD, meaning it is louder by a difference of 8 decibels, on average. That may not sound like much, given that the levels go all the way down to -90 dB, but because this is on a logarithmic scale, that 8 dB difference amounts to more than twice as much loudness in the new master. No wonder the audiophiles with an allergy to loud mastering were scrunching their noses up! If we look closer, however, there are several other signs that indicate there is more going on here. 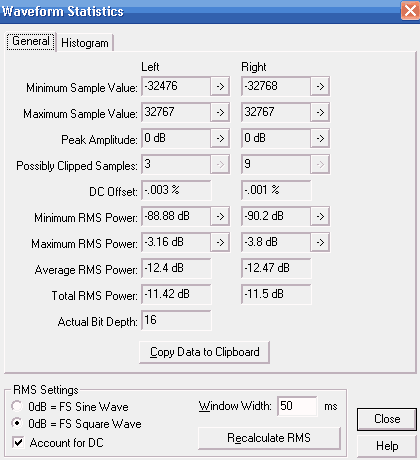 The "DC Offset" is better (smaller) on the new CD, and the "Minimum RMS Power" is also lower, both implying that audio on the new CD can more fully exploit the 16 bits of digital sampling depth available. So, in essence, while the audio is louder on average, it actually gets closer to using the full dynamic range of a CD — the silences on the re-mastered CD are closer to true digital silence than the old CD. Also, there are fewer "Possibly Clipped Samples" on the 2010 remaster, which is a good thing to see, because clipping is where the audio becomes just loud enough to distort by going above the available range. Prior to the release of this re-master, Reznor wrote that he and his team had gone back to the original mixes for this project. That is to say, they found the analogue tape reels created for each song during the original mix-down process, and converted them to high-resolution digital audio. This would explain the split-second variations in timing on some songs (even after accounting for the added or removed durations of silence between them): because the original tapes were analogue, they were probably subject to slight fluctuations in speed during playback. It also accounts for a few other, minor differences, which I will detail here. Keep in mind that once Reznor's team transferred the 1989 analogue mixes to the high-resolution digital domain, they were likely kept in that realm for the entire process of editing and tweaking. For this release, as with many past NIN projects, Reznor directly oversaw and approved the mastering, but the actual credit goes to Tom Baker (the engineer, not the Fourth Doctor Who) along with the mysterious Blumpy for "remastering preparation" — which probably amounted to transferring the tapes to digital and putting the mixes into sequence digitally with the appropriate cross-fades. You may of course remember that, as with most NIN albums, many of the songs on Pretty Hate Machine segue seamlessly from one to the next without interruption. The mastering process is where this "cross-fading" of songs occurs, after all tracks have been separately recorded and mixed. Likewise, the mastering engineer determines the length of silent gaps (if any) between songs, and in the case of CDs, where tracks begin and end (at least as far as the CD player's skip button is concerned). This process is known as indexing. In addition to physically containing the silent areas on the disc in between tracks, and the overlapping parts where they meet, a CD master must indicate the start point of each track. This information is time-coded in the disc's table of contents, where the smallest unit of measurement is an individual "frame" — and there are exactly 75 per second, in case you were wondering. Because some CD players had a tendency to skip over the first split-second after these start points, many older CDs were deliberately mastered with their start points moved slightly backwards, so that there was an insignificant gap before the song really began. On each track in the old edition of Pretty Hate Machine, this delay is at least 15 frames in length. That is fine for most CD players, and hardly noticeable when skipping from song to song, but whenever you copied the CD to digital files — say, when ripping to your hard drive, for example — it had the unfortunate consequence of including too much of the previous track along with the real beginning of the next one (an unsettling effect in shuffle mode). The updated edition goes a long way to correct this problem, by moving most of the index markers closer to the actual start of each song. Unfortunately, it does not quite get it right for my liking: the barrier between all the tracks that segue together would have worked better when moved backwards just a single frame or two. At least it does not suffer from The Social Network soundtrack CD's unfortunate affliction of having some tracks mastered out of sync, which resulted in a "click" noise being audible in between each afflicted song at the barrier mark! Tom Baker mastered that CD, too, and those oversights are probably his responsibility. CDs can also make use of "pre-gap" information, which marks where gaps exist between songs that the player can safely skip over in shuffle mode. Some of you may know that NIN put a "hidden" track (a thirty-second excerpt of the song "10 Miles High") right in the middle of The Fragile CD, using a pre-gap before the track "Please"... consequently, it shows up on some CD player displays as counting down from 0:30 rather than up from 0:00 like a normal track. Pre-gap indexing used to be more important, back when people had multi-disc players as their primary means of listening; but now, with devices like iPods replacing CD players as everyone's favourite shuffle device, CDs largely dispense with pre-gaps. The 2010 Pretty Hate Machine CD has no pre-gaps, except for the required 2 seconds before the first track, but the original edition has them in four other places: one-and-a-half seconds prior to "Down In It", one second before "Kinda I Want To" and two seconds each in front of "That's What I Get" and "The Only Time". Are there any other differences? You bet there are. Speaking of the actual breaks in between tracks (pre-gap markers or no), the new CD has slightly less silence in between "Terrible Lie" and "Down In It", ever-so-slightly more before "Sanctified", way more before "Kinda I Want To", and a full four seconds after "Ringfinger" until "Get Down Make Love" starts. The rest of the gaps and segues are nearly identical to the original, with a couple of notable exceptions that I heard the very first time I listened to this new re-master. For starters, "Sanctified" is entirely missing the "dear mom and dad..." monologue during the instrumental bridge. As this was an unlicensed sample from the film Midnight Express, some fans presumed that Reznor removed it to avoid violating copyright laws. Others have actually endorsed this change, as it allows them to focus on other sounds in the bridge without being distracted by the sample. I can see their point, and would even tend to agree, but without that sample the re-master is definitely lacking something present in the original. For me, the entirely plausible theory that it was removed in service of a mundane, practical purpose (to avoid litigation or licensing fees) sort of pollutes the aesthetic benefits! At the end of "Sanctified", it transitions into a guitar drone (courtesy of erstwhile NIN member Richard Patrick) along with another sample from an unidentified film. However, at this point on the 2010 CD, immediately after the drums stop there is a noticeable "dip" in the mid-range frequencies. My theory is that in order to avoid re-mixing the song completely, but still remove the offending sample, the team joined together two different mixes of "Sanctified" here: an earlier one that did not contain either sample, and a later one complete with both as well as the droning transition to "Something I Can Never Have" intact. It must be the case that the 2010 re-master mostly uses the former mix, until the very end, where the CD cross-fades into the latter, resulting into the seam you can hear during the transition between them. The 2010 vinyl pressing uses the former mix with no transition whatsoever, as the two songs are split across different sides on that edition! Both mixes are otherwise identical, so the difference is actually pretty minor. One can argue about the relative merits and demerits of these changes; I liked how the transition between songs worked on the original, but I find that "dip" present in the new CD distracting. Splitting the two songs up, as the 2010 vinyl does, is a good compromise... but the removal of Richard Patrick's drone guitar masterpiece will no doubt upset purists! I would also miss hearing the creepy voices and banjo from the second movie sample; it reminds me of the random TV-tuning samples that NIN used in the so-called Purest Feeling demos. Oh, and one more change I would be remiss to leave out: during the brief segue from "The Only Time" to "Ringfinger" on the new CD, the static-like noise subtly pans across the stereo field. On the old master, it stayed in the center. So, what's the verdict? That is a hard one. For most people listening in today's environment, the CD will be a vast improvement over the original. It has better equalization of frequencies and in some ways is a more accurate reproduction of those analogue mixes. Some audiophiles will just never be able to live with the limiting, however, and cling to their old CDs for dear life or else run for the hills in search of the perfect vinyl pressing. 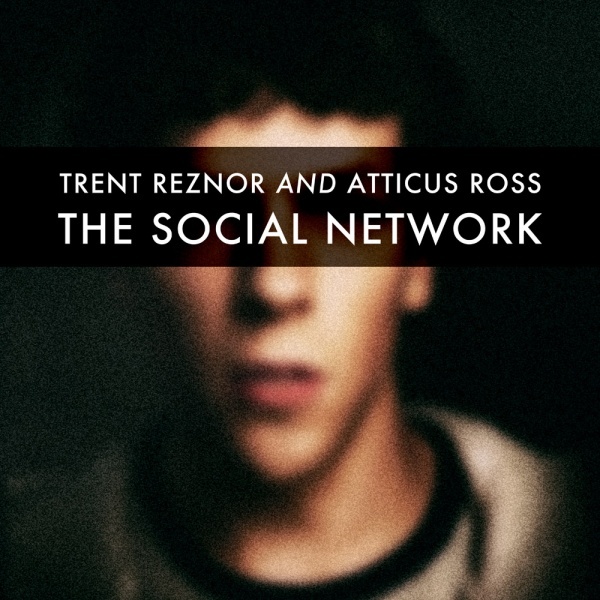 I happen to think Reznor and Co. did a good job of breathing new life into this classic recording. It is not without its flaws, but overall I find that the 2010 master is indeed an improved experience. Your mileage of course may vary, but at the very least I hope this review was informative and educational.